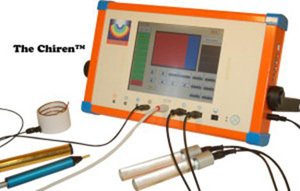 The Chiren, the measuring and treatment device for the Biophoton therapist. Biophotons coherence therapy, helps the body's defensive system. So that after treatment it works again optimally. This allows the body to heal itself. 1) One assessment system - to see where & what the disturbances are. a straight line or a hyperbole. When it is a hyperbole, there is something wrong & with a straight line everything is in order. This indication corresponds fully to the biophoton measurements. Also when one measures biophoton emission, one gets a straight Iine when there is maximum coherency and a hyperbole when the light is chaotic. This measurement is followed by a measurement of the QUALITY of the point. If the previous measurement showed a hyperbole, then another measurement has to follow in order to see WHAT is wrong? This measurement will determine on the basis of the quality of the “chaotic signal” that comes from the body what the disturbance is. The treatment section of the CHIREN is then able to send back the opposite signal into the body, thereby neutralizing the disturbing signal. The CHIREN has several capabilities and special programs. Furthermore the CHIREN has the possibility to store all your assessments, treatments and remedies. Everything has its own specific light emission and vibration. Every biochemical reaction in the body is a result of an electromagnetic frequency. If there is something wrong with the chemistry, then there is something wrong with the frequencies. Basically, the Chiren' applies opposite vibrations to the one creating the disturbance. With the CHIREN, the chaotic radiation is separated, inverted and re-introduced into the body where it meets its opposite and thus neutralizes itself. As a result, only coherent (healthy) radiation remains. This is done by holding 2 glass rods or placing your bare feet on 2 glass plates. The electromagnetic waves containing the different frequencies (laser light) are transmitted through these glass elements. After this all the points are checked again to see the new situation. The CHIREN allows the practitioner to assess the resonance of the disharmony causing the disease. Then the body is treated by "inverting” the light wave pattern for the disease or microorganism, while at the same time 'augmenting' the healthy, coherent light from one’s own body. This neutralizes the illness and can lead to profound healing. Biophoton Coherency Therapy not only helps the body to be able to work optimally, but can also affect one on an emotional, mental and spiritual level. The Chiren also offers the possibility of transmitting the electromagnetic waves with the frequencies of supportive homeopathic remedies as well as Bach and Australian Bush flowers. It has an extensive library of the “energetic signatures" of the different flowers and herbs. 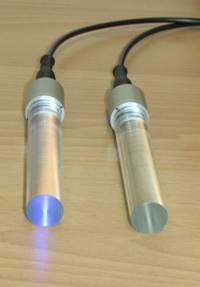 These can be directly transmitted to you or to a liquid for later consumption. The use of homeopathic and flower remedies can support and help in the more subtle emotional and spiritual levels of a person's life providing in this way a more holistic approach towards healing. Johan Boswinkel, the founder of Biontology, calls this approach the synthesis thinking. "Most therapies try to treat diseases. 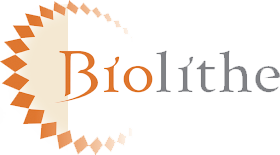 Biontologists endeavour to treat human beings. Biontologists try to look for the truth that lies behind the sickness, the real cause of any disturbance. For this they use a whole synthesis of methods. Ancient wisdom, modern technologies and numerous universal ways are fitted into one synthesis and are also adapted to our time. This synthesis works and enables the cells to regain and remember their power of regeneration." Biophoton Light Therapy (Bio Coherency Light Therapy), is completely non-intrusive, comfortable and safe by founding and eliminating "causes of a disorder correcting disturbances through the medium of light and information. Restoring 'the software" that runs all systems in your body, at last enabling It to carry Out its own healing process the body begins to recover from such disturbances. At the end of this process, all symptoms disappear on their own, and the body’s innate ability to recover from illnesses is restored. An important factor to realize is that it is always your own body that does the healing once such disturbing causes have been removed. 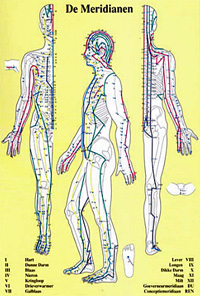 Meridians are “energy highways" that run under the surface of the skin and end on the hands and feet. With the CHIREN, using biophoton light therapy, we measure the light coherence of 100 meridian, points on your hands and feet using a blunt measuring probe. (No needles are involved!!!) These objective reproducible measurements are visible on the screen as well as audible. Since meridian points correspond with particular organs, each of these points tells us about the condition of a specific part of your body. The CHIREN also enables the therapist to test for the exact remedies that cancel out the disturbance of each point. Later in the session during the treatment phase. The CHIREN, will be used in therapy mode to deliver the chosen remedies. Once the remedies have been identified which restore coherency on every point, there is a 10 minute treatment using the frequencies of those remedies. The treatment is delivered through 2 glass rods that you hold in your hands. The CHIREN amplifies and feeds your healthy, coherent light back to you. But even more importantly, it cancels out all the incoherent frequencies found during the measuring and testing phase. Because it operates on a feedback loop, it is impossible for the CHIREN to cause any adverse effects! When the body is no longer bothered by the disturbances. It begins to balance and heal itself. Each segment of the treatment serves a different purpose, and each treatment is custom-tailored to the individual. The first session lasts about 1, 5 hours and is entirely safe, non-invasive, comfortable and usually very relaxing. The second session takes place 3 to 5 days later. It is important to space the first three treatments three to five days apart to avoid backtracking. After that, one per week is ideal, until no more incoherent meridian points are left and the client is symptom-free. Once begun, it is important to follow through with the therapy to its conclusion for lasting results. Once the results are achieved, no further treatment is needed. What is the difference between this therapy and others? The CHIREN, measures the electro-acupuncture points on the hands and feet pretty much in the same way that several other therapeutic instruments do. However, this is where the similarity ends. The CHIREN is the only instrument that delivers the therapy in the form of coherent light and doing this as a feedback loop. This has two very important advantages: Light can carry much higher octaves of information than electric current (often used by mast other therapeutic devices); this technology corrects emotional and mental components of health problems as well as their physical components. What this means is biophoton light therapy vastly improves the emotional and mental of one’s physical health. The CHIREN is completely safe because therapeutic light is administered via a feedback loop which self-regulates according to the body's needs. Therefore there is absolutely no chance of any harm. Detoxification. Some persons feel tired for about a day or experience some symptoms of detoxification, usually quite mild. Other times you may experience no symptoms at all. In either case, it is important that you drink plenty of water to help the kidneys remove the released toxins. We advise you to drink at least 2 litres of water a day for 2 to 3 days after treatment. If you drink too little you may get a headache. Do remember that treatments rectify the information systems of your body: the actual physical healing is a process that takes place between treatments, when you are at home. The CHIREN' device, brainchild of Dutch physicist Johan Boswinkel, has helped many people in Norway. 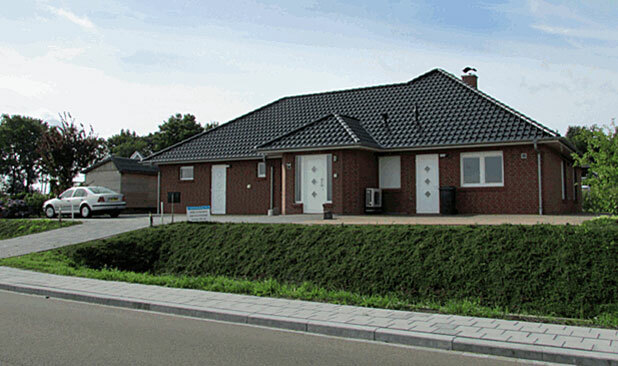 The Netherlands and other European countries as well as in the United States. Biontology in today’s world vaccinations, medications, food poisoning, childhood illnesses, surgical scars, electromagnetic frequencies, inhaled and ingested toxins and many other factors confuse and overwhelm our immune systems. Creating all of the chronic health problems that are common in our society. Biontology is the science of sorting through the multiple Iayers of causes. CHIREN Therapy is the process of cancelling them out leaving the body with its original pristine healing intelligence and an immune system not compromised, ready and able to handle anything. Usually it will not be dear until the 3rd or 4th appointment how many approximately will be required. Some disturbances may not come to light until another has been cleared up. In any case, the therapy is not a prolonged process, but a concise and dear method of treatment. Therapy is complete when all meridian points achieve coherence and when you feel well.